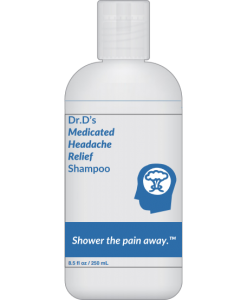 Dr. D's Medicated Headache Relief Shampoo is now available. 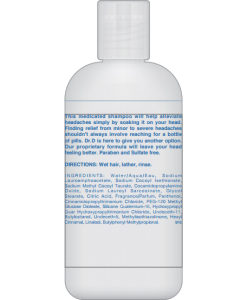 This medicated shampoo will help alleviate headaches simply by soaking it on your head. Finding relief from minor to severe headaches shouldn't always involve reaching for a bottle of pills. Dr. D is here to give you another option. Our proprietary formula will leave your head feeling better.